Analysis of the surveys of 406 non-entrepreneurship and 105 entrepreneurship business school alumni from the Eller College of Business and Public Administration, University of Arizona, indicates conclusively that entrepreneurship education makes a difference. 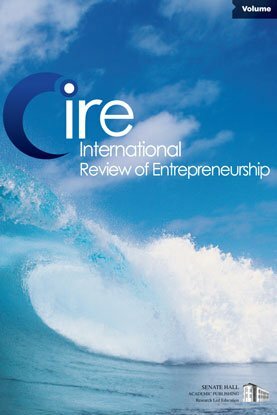 Entrepreneurship education is found to contributes significantly to risk-taking, the formation of new ventures, and the propensity to be self-employed. In addition, entrepreneurship graduates have higher incomes, higher assets, and indirectly, higher job satisfaction compared to other business graduates. Entrepreneurship education contributes to the growth of small firms that employ entrepreneurship graduates and firms owned by entrepreneurship graduates tend to be larger and have more sales than those owned by non-entrepreneurship graduates. Entrepreneurship education also promotes the transfer of technology from the university to the private sector and promotes technology-based firms and products. An analysis of business plans written in the entrepreneurship program since 1985 indicates a growing trend toward more technical products and services. Survey responses of University of Arizona administrators indicate a strong belief that entrepreneurship education has provided pedagogical innovations worth adopting in other programs and courses.